The update strategy determines whether to insert, delete, update, or reject records. Within a session. When you configure a session, you can instruct the Integration Service to either treat all rows in the same way (for example, treat all rows as inserts), or use instructions coded into the session mapping to flag rows for different database operations. Within a mapping. Within a mapping, you use the Update Strategy Transformation to flag rows for insert, delete, update, or reject. You can also use the Custom transformation to flag rows for insert, delete, update, or reject. 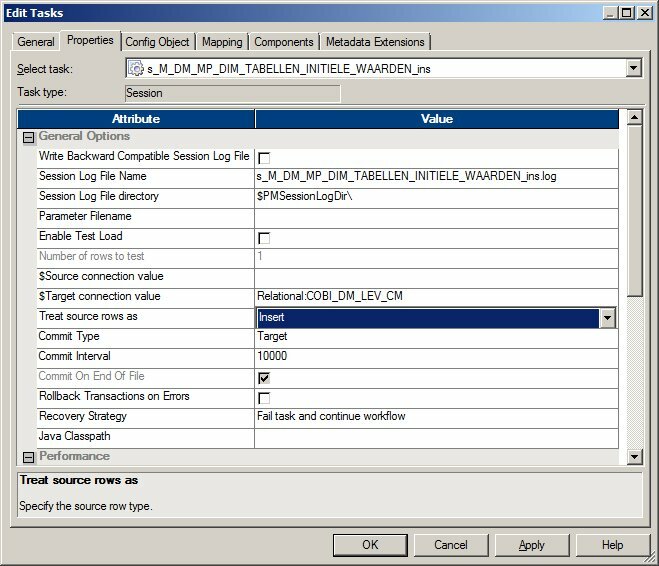 You can set session-level target properties to specify how the Integration Service inserts, updates, and deletes rows.